We Carry What the Pros Use! We require a copy of your driver’s license. You must be 18 years or older to demo a racquet unless accompanied by an adult. There is a $5 charge per day per racquet rented with a five day rental limit. Any racquet kept after the limit is considered late and will be charged $10 per racquet every day over five. We require a credit card. The credit card will not be charged. It is used as a deposit unless a demo racquet is not returned. In that case then we will use the credit card number to charge the full retail price of the racquet. 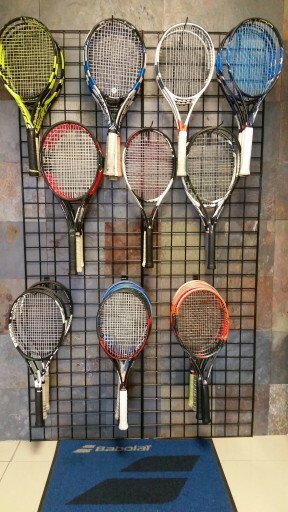 If you have any questions about our policies or racquet availability, please contact us online or call our store. Demo rental charges will be applied as a discount towards the purchase of a new racquet. Receive up to $50 off per racquet purchased!